I recently had some computer issues and lost a big chunk of my emails. For a small business, data loss can be devastating. For this reason, it is paramount that you implement a data protection policy now – before it becomes too late. 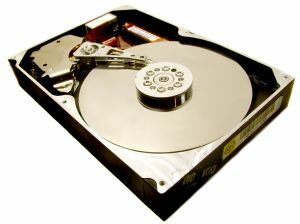 There are a few options, including online backups, backup servers, and external hard drives. For my money, an external HD is by far the best way to go. I purchased a 400GB USB drive from newegg.com and have had great results. All it takes is a couple minutes a day to transfer important files to the hard drive before you go to bed to ensure the survival of your crucial data. I also recommend printing hard copies of things such as invoices, contracts, proposals, and login and passwords for you and your clients various accounts. Sorry for the short post, but I am slammed with deadlines – trying to implement some of the things I discussed yesterday! Class dismissed. Good post, backing up data is crucial. I currently house all of my web development work, music, and more on an external harddrive to help my machine run faster when running apps like Photoshop and Dreamweaver at the same time. However, do not think that your external harddrive is full proof. I have lost some client design work because of my harddrive not functioning properly. Because of this, I have started to back everything up on to DVDs- at least the most important sutff like client work and all my business information. It is important to have a backup to your backup just in case. Good points Chris. I’ve gone the DVD route before and it’s just so time consuming that I really slack off and don’t do it more. I keep all my data in 4 places. My laptop, desktop, external HD, and I back up all my client works to my web server once a month. Not full proof by any means, but redundant enough for my needs.